Trevor Chan's Capitalism II (simplified Chinese: 金融帝国II; traditional Chinese: 金融帝國II; pinyin: Jīn Róng Dì Guó II) is the business simulation video game sequel to the original Capitalism. It was created by Enlight and published by Ubisoft Entertainment in 2001. 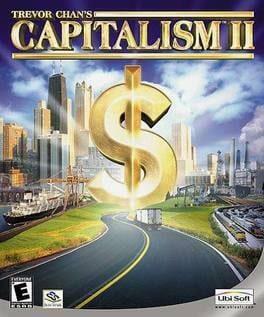 Capitalism II is available from 7.97 to 9.49 from 1 shops.